Of all the gates that stand before actors, one of the most daunting is the audition. I imagine because it is the grand meeting of everything and nothing. Hopes, dreams, expectations of plenty, running into the wall of the real world with a script, producers, and a waiting room with metal folding chairs. It is like the actor’s Cape of Magellan. I remember learning that the Atlantic and Pacific Oceans are actually at different heights so wherever they meet there is always a stormy collision of equalization. And the Cape of Good Hope was not named because you were entering a zone of peace-but it was a prayer to be uttered so that you could get to the other side alive. I’m asked about auditions all the time, probably because they seem to be the closest thing to cruel and unusual punishment still permitted under the Constitution. How do you get them? How do you succeed at them? How can you avoid them? Taking the last item first. You can’t. Auditions are a fact of life. This is actually very good news. Knowing that auditions are a certainty gives you the heads up to start the long torturous process of making them your friend and not your foe. As a side note, it is interesting that people who crave spending their life performing hate to perform in an audition. Why? Usually the answer I get is that in an audition you are being judged. That’s true. But that is true for any performance art including baseball. You are always going to be judged on what you do. So, the first audition tip is you need to learn hedge your bet. By that I mean you can eliminate as many things as you can before the audition that would cause you to be judged poorly. The way you look, the way you dress. Here’s a simple one-learn your lines. This has so many positive effects you wouldn’t believe it. One, it shows producers you can learn your lines. Two, in a very sneaky, psychological way it shows the producers that you will not be a problem on the set. For producers everything is about “making the day.” Time. Time spent. Time saved. Time wasted. It may have taken you forever to learn those lines, but they don’t know that. All they know is-hey, we’re not going to lose a take because this guy doesn’t know his words. The strange part is I have noticed if you come in with your lines learned, other non-related positive qualities are attributed to you by magic. They’ll also think you are punctual. They’ll think that costumes will fit you. They’ll think that you don’t have car trouble, that your house is clean, and that you go to the gym. Don’t ask me why this is true. It just is. I ran down with a couple of my friends. We had no idea what the show was, so we were ready with our contemporary and classic monologues. We got to the theater and there were about fifty other men our age waiting nervously. After a couple of hours they called me in and asked me to stand on the stage. I did. I asked if they wanted to see an audition piece. They said, “Not yet.” They asked me to turn around. I did. They whispered to each other. Nodded. They mentioned that I might be perfect for a part that didn’t exist yet but that they were currently writing for the play. My heart started racing. I asked what the part was. They said it didn’t have a name yet; they were just calling it Masochistic Gay Man. Note to self: I think it is almost impossible to have good dialogue if your character doesn’t have a real name. This rule also holds true for big movies. Robert Patrick didn’t have a name in Terminator 2. He was just Terminator and he spent most of the movie running. I’m exhausted thinking about it and I believe it’s all because he didn’t have a name. At the audition, the men asked me if I wanted to take a crack at Masochistic Gay Man. I said sure. They wanted me to improvise a speech. I said-what on? They said, “Have you ever wanted to have your head shoved into a urinal? Then dragged back into a stall where you beg to be beaten and anally raped”? I paused while I waited for a consecutive translation in earth-speak. Nothing entered my head. I eventually apologized and left the stage. The second unusual audition requires a brief back-story. I include it because the back-story itself has good bits of advice in it. When I first arrived in Los Angeles I took an acting class from Maria Gobetti. Maria was referred to me by Ed Kaye Martin. Ed served as an acting guru/dungeon master for my one memorable semester at the University of Illinois. Ed always said that actors should try to stay in acting class if you can-not just to keep sharp for auditions but for networking. The first day I arrived in Los Angeles I called Maria and enrolled in her Sunday morning class. I showed up bright and early-10 a.m. At 10:30 a young man entered class and asked Maria if he could make an announcement. They were doing a play in Hollywood that was opening in a week and they lost one of their actors-was anyone interested in jumping in. I raised my hand. The networking worked. Ed was right again. By the end of my first day of acting class I was able to call my parents and my girlfriend and report that I had landed the role of Dudley Bostwick in “The Time of Your Life,” a great play by William Saroyan and I would open in a week. The play took place in a bar. I had to make a dramatic call from a pay phone. Fortunately, the theater had a real pay phone on the wall, so they just worked it into the set. My part was pretty simple. I sat on stage for two hours and pretended to drink beer. I make the dramatic phone call. Then the girl I call comes over and we go off together. Opening weekend we were very excited when we heard that there was a real agent and a casting director in the audience. The play began. I sat and drank ginger ale for an hour, then the moment arrived. I went to the phone-I put in a quarter (a real quarter, which I had to provide) and then began my speech. About two sentences into the monologue the pay phone fell off of the wall. The audience gasped. I bent over and picked up the entire phone off the floor, cradled it in one arm and picked up the receiver. I improvised brilliantly saying, “Sorry darling the phone just fell on the floor. Can you hear me all right… good.” A moment later the cord that connected the handpiece fell on the floor, leaving me holding a huge pay phone and a completely unattached receiver. A little girl in the audience said, “Mommy, the phone is broke.” The audience laughed. I continued with my speech, walking around the stage carrying a pay phone. When I finished the call I handed the huge phone to the man playing the bartender who also improvised brilliantly saying something like, “Here, pal. Let me take that phone off your hands.” The play ended. Backstage I got a lot of sympathy but no prescription drugs to kill the pain. The next day, besides fielding all of the embarrassing calls from family and friends on how the show went, believe it or not, I got a call from the casting director in the audience. She thought I handled a difficult situation well and wanted to know if I would come in and read for a part in a movie she was casting. Message to young actors: When you first come to L.A. and you start to despair, remember the X-Factor. Hollywood is not like school. There is no syllabus and there are no grades-here you can succeed by complete failure. This was my first real movie audition. It was for the movie The Love Bug 2. I would be reading for the part of Officer Bailey, apparently some sort of policeman. The audition was for the very next day. I was nervous. Again the phone calls went out to loved ones. My first week in L.A. I was in a play and maybe a movie. I was so excited I called up Ed Kaye Martin for emergency audition advice and I will now pass it on to you. He said: Read the entire script. Many actors just read their part and don’t take the time to read the whole script. If you read the entire piece you will get a feel for the overall tone and you will see what other characters in the script say about you. I drove over to Paramount and went to the casting office and said I wanted to read the entire script before auditioning. The secretary was not particularly impressed, but he handed me a copy of Love Bug 2. I took it home and read it. The tone was predictably that of a movie that starred a Volkswagen. I couldn’t get a bead on what other characters’ said about Officer Bailey because I couldn’t find Officer Bailey in the script-at all. I panicked. I went back the next morning and asked the casting director if I read the right script. She was apologetic and said I had the old version. She handed me a new script. My hopes rose once again. Apparently they went back and added Officer Bailey! Fabulous. I could only imagine the hilarious encounter he would have with Herbie, the Love Bug. I sat outside the office and read it for two hours. There was no Officer Bailey in this version either. My gratitude for getting the audition was diminishing by the second. I went back into the office and politely mentioned I was still not in the script. The casting director was confused and even more apologetic. She made a phone call and got the answer. Officer Bailey was in the third re-write. A new scene that was just written. It was faxed over and she handed it to me to look at just before my audition. Believe it or not, there was still no Officer Bailey. Now, Masochistic Gay Man was looking good by comparison. She scanned the material and said the mix up was that the part of Officer Bailey was no longer called Officer Bailey, but was changed to Cop #2. The blood drained from my head when I realized I just lost my name. I read through the scene, and I was stunned. I had one line. Let me be more specific; I had one word. One word. I had spent the better part of 24 hours reading two complete drafts of a flying car movie all for a scene in which I had one word. That word was “Yeah.” The scene in its entirety went something like this. Herbie the Volkswagen is driving down the street then it takes off and flies over a car stopped at a traffic light. Cop #1 says to Cop #2, “Did you see that?” Cop #2 says, “Yeah.” This was my first movie audition in Hollywood. “Do you want to give it a try”? I didn’t get the part. Of course it is a matter of opinion as to whether the part actually existed-but the advice is the same. Make sure you know what the job is before you audition. Next: Auditioning for Christopher Nolan. Knowing what you are doing can give you clarity, and people in show business appreciate any kind of clarity. Once I went into an audition and they asked me what I had been doing lately, a typical audition question. Instead of going through the morass of my recent show biz history, I told them I was watching my jade tree bloom in my front yard. It only happens once every seventy-five years and it was a real treat, like seeing a shooting star on a camping trip. They immediately were interested, and I got a call back. Truthfully, not so much out of interest in the jade tree, but the clarity I displayed in telling the story conveyed the impression that I was not nervous. That is a biggy. Being nervous. The question I get all of the time is about the sheer nerve factor of auditioning. Say you have the latest version of the script, you’ve learned your lines, and you have a simple, clear approach you believe in, and you still get so nervous you can’t execute. What do you do? First, you have to understand it is the idea that you are walking into a room with people sitting on the other side of the table judging you that is making you nervous. Right? Not completely. Once I got there early and walked into an empty room with a table in it and I got nervous. That’s when it dawned on me that the table itself is a factor. I realized I needed to turn the tables so to speak. The solution-and this advice works for any profession you have to go on interviews for-go sit on their side of the table. Not literally, but figuratively. Don’t stand opposite them to be judged, become a collaborator. The one thing you always have in common with the producers or your employers is the project. If you make the project the most important thing in the room-not you-you will sit on their side of the table and you won’t be so nervous. The script for Memento was huge by most screenplay standards. I sat in the bedroom and started reading. I got to a scene early on that seemed exactly the same as the previous scene. I thought it was a misprint until I read in the scene description “…the lighting, costumes, camera angles, acting should appear to be exactly the same as the scene before it.” Then the new scene proceeded differently. I was amazed and had no idea what I was reading. I shook my head, “Brilliant. Unbelievably brilliant.” I called my agent and said I had to play Sammy Jankis. I said, just get me in to meet Christopher Nolan. So here is an audition tip for actors, and this also cuts across to other professions where you have to interview for the job. You have to know the difference between a good script and a good pitch. There is no substitute for a good script. You can play a tiny part in a good script and it will be worth your while. You will get noticed. A good pitch is another animal altogether. It is vapor. It is just a sales job. You can play a huge part in a show that’s only a good pitch, and it could be the end of your career. Example: Around the same time I was sent some scenes for the “Michael Richards Show.” It was a sit-com that got picked up right after the “Seinfeld” gang called it quits. All my agent said was, “This thing is going to be huge. It’s 22 on the air” (which means that the show has been bought without even waiting to see the pilot). It was Kramer as a private eye-just imagine. That was the sales pitch and not the script. The show tried to find itself unsuccessfully. They wrote and rewrote and came up with different approaches, created new characters-none of them were able to give Michael the platform he needed. I never could get in to audition because I was working. My agent was having a fit because he was sure it was the closest thing you could get in this business to finding a leprechaun and a pot of gold. But it wasn’t. They didn’t have the script. It may be overly simplistic to say if you have a script as good as Memento you will be guaranteed success-because most scripts aren’t that good, but it is fair to say if you have a good script with a good story and structure, you will develop passion. And passion is powerful on an audition. Passion is the closest thing we have to alchemy. It can turn almost anything into gold. Christopher Nolan was one of those people I liked the moment I met him. He was soft-spoken and intelligent. There was no phoniness about him. I came into the room and the first thing he said to me was why on earth do you want to audition for Sammy Jankis-the part is tiny. I smiled and told him that it is one of the best parts in the movie. Chris laughed and asked how so. Worse. I “woke up” standing over the toilet with my fly open and Junior in my hands. In that moment I didn’t know if I had to pee or if I had just finished and was ready to go back to watching the game. So I waited and then forgot again. And again. Finally Annie walked down the hallway and looked in at me. She gently told me I had finished a long time ago and it was time to zip up. Chris was fascinated by the story of my amnesia and I believe I got the part of Sammy Jankis very much by turning the audition into a session of collaboration. But again, the secret was I believed in the project and was less concerned about how I came across in the interview. This is a brief run down of the elements I have found most important in having a successful audition. Be prepared; understand the material as well as you can, even better than the people hiring you if possible; whenever appropriate, become a collaborator and not just another person hungry for a job or worse-hungry for acceptance. According to the dictionary: “In an audition, the employer is testing the ability of the applicant to meet the needs of the job and assess how well the individual will take directions and deal with changes”. Deal with changes. That’s the hard part no one talks about because, by definition, changes are not what we expect. Sometimes we never even see them coming. The latest episode of The Tobolowsky Files, a project of Stephen Toboloswky and David Chen, has just been released. You can subscribe through iTunes here or via RSS here. What’s more? 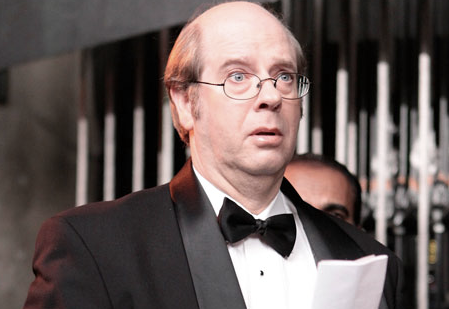 You can e-mail Stephen at stephentobolowsky(AT)gmail(DOT)com.